Port Authority® Enhanced Visibility ... Port Authority® Enhanced Visibility Cap with Camo Brim. Port Authority® Enhanced Visibility ... Port Authority® Enhanced Visibility Cap. Port Authority® Reflective Sandwich ... 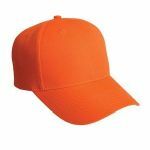 Port Authority® Reflective Sandwich Bill Cap. Port Authority® Solid Enhanced Visib... Port Authority® Solid Enhanced Visibility Cap.